Have you ever wondered why video games can become potentially addictive? Is it the built-in reward system, the sense of satisfaction that gamers may not have in the real world. Video games can also be used in a positive educational format, which leads me to our podcast for today. I will be talking with my good mate New Zealand super star teacher Carl Condliffe. 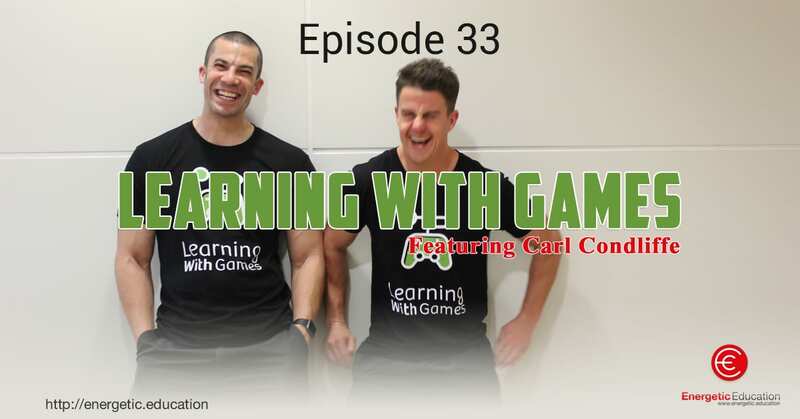 Carl has established himself as a world leader in mixing gamification and education together. Today he will talk about his experience as a professional gamer, where he was flown all over the globe competing in gaming tournaments, right through to been an elite athlete as part of the New Zealand bobsled team. We will also discuss our brand new gamified learning platform in Learning with Games, your chance to receive a 20% discount if you sign up for a year’s subscription of amazing resources. Listen in as we will mention the code you need in today’s episode. This is just one podcast episode that you cannot afford to miss.